Orange County District Attorney David M. Hoovler and the New York State Police announced on Tuesday, February 5, 2019, that twenty-six defendants have been charged in an enforcement action dubbed “Operation Bread, White and Blues”. Three defendants have been charged with the Class A-I felony of Operating as a Major Trafficker, including a paid Lieutenant of the City of Middletown Fire Department. Felony complaints filed in conjunction with the enforcement action outline two separate conspiracies, one of which primarily involves members and associates of self-professed “outlaw” motorcycle clubs trafficking cocaine, and another of which involves the sale of narcotic pills which were represented to contain oxycodone, but which contained fentanyl, a highly addictive and frequently lethal narcotic. Two defendants, Paul Smith and Robert Dunham, are alleged to be members of both conspiracies. The name of the operation refers to the co-conspirators use of the term “bread” to mean money they obtained through the sale of narcotics, “white” to represent the cocaine which was sold, and “blues” to represent the blue colored pills which were being trafficked. Most of the defendants were arrested in a series of early morning raids and search warrant executions which occurred on Tuesday, February 5, 2019. On February 5, 2019, members of the New York State Police Community Narcotics Enforcement Team aided by the New York State Police Special Operations Response Team and the Federal Bureau of Investigation, executed multiple search warrants and made over twenty arrests throughout Orange County, and Rockland County. The arrests and search warrant executions were as a result of a six-month-long narcotics investigation. Law enforcement officials recovered more than $200,000, 25 handguns, one assault rifle, multiple rifles, ten vehicles, two motorcycles, over 2.5 pounds of cocaine and 1300 Fentanyl pills. Paul Smith, 48, of Deerpark, a paid Lieutenant of the City of Middletown Fire Department, has been charged with crimes including Operating as a Major Trafficker, and is alleged to have been a member of both conspiracies. Search warrants were executed at the City of Middletown Fire Department. He is also being charged with Attempted Criminal Possession of a Controlled Substance in the First Degree; Criminal Sale of a Controlled Substance in the Second Degree; and Conspiracy in the Second Degree. Robert Dunham, 46 of Middletown, has been charged with crimes including Conspiracy in the Second Degree and Criminal Sale of a Controlled Substance in the Second Degree, (4 counts), and is alleged to have been a member of both conspiracies. Marquis Gamble, 34, of Nyack, has been charged with crimes including Operating as a Major Trafficker, and is alleged to have been a “profiteer” in the conspiracy to sell cocaine. It is alleged that it was Gamble’s role in the conspiracy to provide cocaine to other members of the conspiracy. He is also being charged with Criminal Possession of a Controlled Substance First Degree; and Conspiracy Second Degree. John Beltempo, 49, of New Windsor, who previously worked for the Village of Spring Valley Police Department, the Orange County Sheriff’s Office and the Town of Wallkill Police Department, was charged with Conspiracy Second Degree and is alleged to have participated in the conspiracy to sell cocaine. On December 31, 2018, Kenneth Nunez, 39, of Spring Valley, was arrested and charged with Criminal Possession of a Controlled Substance First Degree on December 31, 2018. A subsequent felony complaint charges him with Conspiracy Second Degree and it alleges that this cocaine had been given to him by Marquis Gamble to deliver to Paul Smith. Garry Michel, 48, of the Town of Wallkill, has been charged with crimes including Operating as a Major Trafficker, and is alleged to have been a “profiteer” in the conspiracy to sell narcotic pills, which were marketed to buyers as containing oxycodone, but which contained fentanyl. The pills were colored, stamped, and marked to appear to be oxycodone pills. He was additionally charged with Conspiracy Second Degree. Additionally, Sunshine Wall, age 40, of Cuddebackville, NY was charged with Criminal Possession of a Controlled Substance Seventh Degree and Nicholas V. Ciccone, age 47, of Port Jervis was charged with Criminal Impersonation and Parole Absconder. The maximum sentence for the Class A-1 felony of Operating as a Major Trafficker is 25 years to Life in State Prison. The maximum sentence for the Class AI felony of Criminal Possession of a Controlled Substance in the First Degree is 8 to 20 years in State Prison. If the offender has a prior felony conviction the maximum sentence is 12 to 24 years in State Prison. The maximum sentence for the Class A-II felonies of Criminal Possession of a Controlled Substance in the Second Degree and Criminal Sale of a controlled Substance in the Second Degree is 3 to 10 years in State Prison. If the offender has a prior felony conviction the maximum sentence is 6 to 44 years in State Prison. The maximum sentence for the Class B felony Conspiracy in the Second Degree is 8 1/3 to 25 years in State Prison. If the offender has a prior felony conviction the maximum sentence is12 ½ to 25 years in State Prison. District Attorney Hoovler thanked the New York State Police for their efforts in this investigation. District Attorney Hoovler highly commended the New York State Police for their investigation given the complexity of the case. Assistant District Attorney Neal Eriksen assisted in the investigation of the case and is assisting in prosecuting all of the defendants charged in the operation. Senior Assistant District Attorneys Kerry Kolek and David Byrne are prosecuting all the defendants charged in the operation. In addition to filing criminal charges, the Orange County District Attorney’s Office has also instituted a civil forfeiture proceeding against many of these defendants in the cocaine conspiracy in order to seize from them profits that they have made illegally selling narcotics. The suit seeks over $833,000 in illegally obtained profits. Additionally, the office will commence a forfeiture proceeding against those defendants in the pill conspiracy who illegally profited from the sale of narcotic pills. Assistant District Attorney Nicholas Mangold is conducting the civil forfeiture proceedings. A criminal charge is merely an allegation that a defendant has committed a violation of the criminal law, and it is not evidence of guilt. 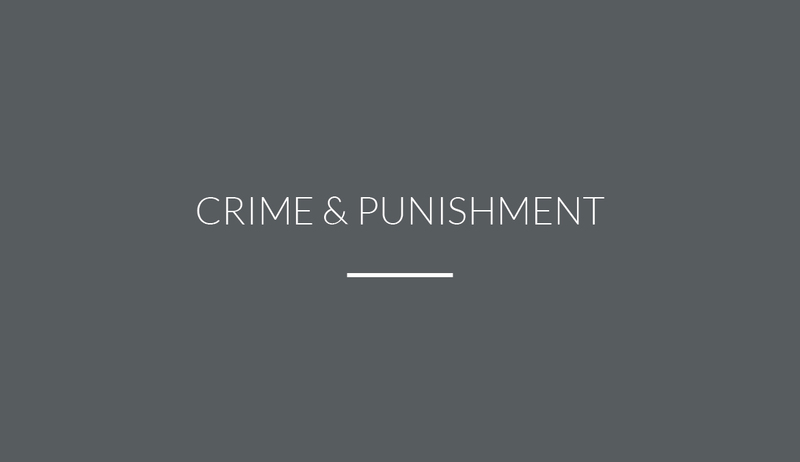 All defendants are presumed innocent and entitled to a fair trial, during which it will be the State’s burden to prove guilt beyond a reasonable doubt.